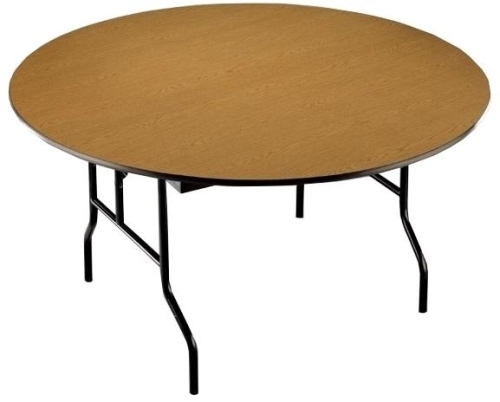 This 72" diameter round banquet table features a 3/4" plywood core with plastic laminate surface. Plywood core laminate tables resist edge impacts more than particleboard tables. Designed for high volume use in school classrooms, event centers, churches & more! Choose between the bannister oak, and gunstock walnut laminate.